I apologize ahead of time for doing this to your eyeballs. I do not like the geckos. They make me feel twitchy and ill. It's something about their squishy little see-through bodies and the way they move and...vomit. Just thinking about them long enough to write this post will have me shuddering and cringing and checking the ceiling for geckos poised to drop down the back of my shirt for the rest of the day. So yes, I heartily dislike the geckos. 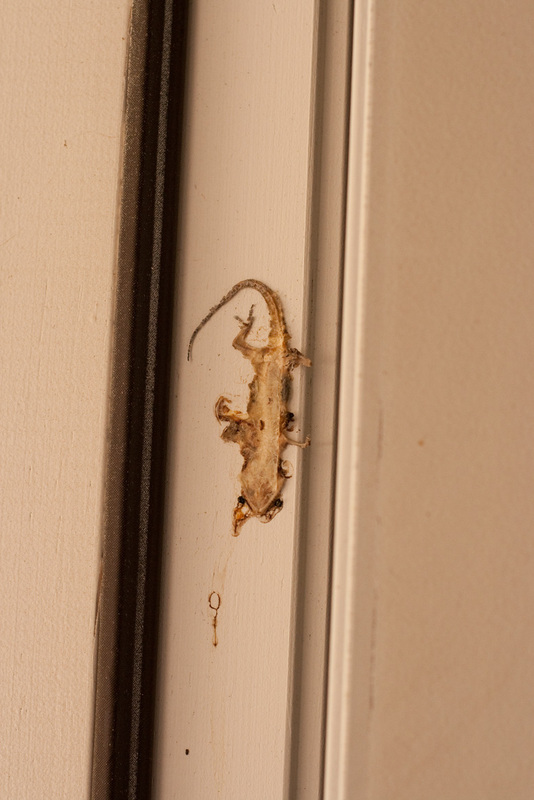 However, I do not mind the two lizards who have made our backyard their home. They mostly stick to the block wall and have yet to try to come in the house. They're just back there eating bugs and minding their own business and I like that in a backyard dweller. 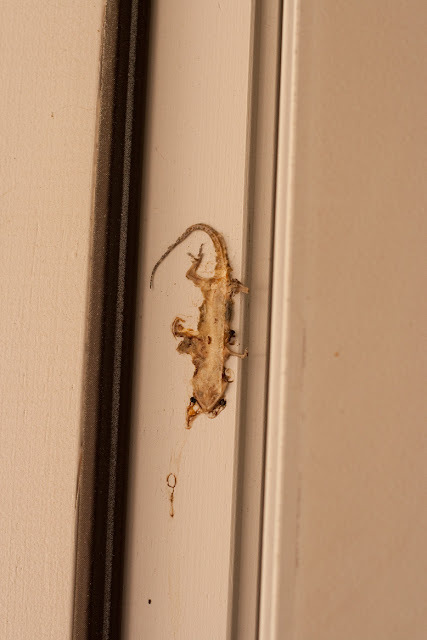 So I'm really hoping that whatever tried to enter our home via the door jamb was a gecko and not one of our lovely lizards. But I can't really tell. I really don't want to clean that up.